This amazing Craftsman twinhome, located in the heart of the Cardiff Walking District, will mesmerize you with its sophistication and style. Take in the ocean views, gorgeous sunsets, and charm of the Cardiff lifestyle. Boasting high-end features including imported limestone counter tops, wood beam ceilings, custom cabinetry, gourmet kitchen and designer lighting. The open floor plan is perfect for entertaining and enjoying ocean views. See supplement...., Enter the home through the Zenlike courtyard with beautifully maintained water-resistant plants to the entry level where you will find 2 bedrooms, a full bath, and a Master suite with ocean views and its own viewing deck. The main level features an open concept kitchen, dining room, and living room with a cozy fireplace and ocean view deck. 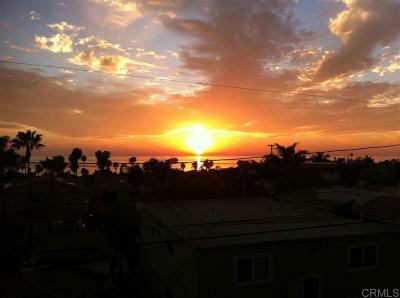 The hillside beach community of Cardiff-by-the-Sea offers the best of local restaurants and premier beaches and surf. Welcome to your piece of paradise!